I LOVE before and after photos!!! Great job! Nice house! Good work, Karla! I think you ought to put that gorgeous zebra top table out there, too!! Love the way you did your garden. Love the photos too. 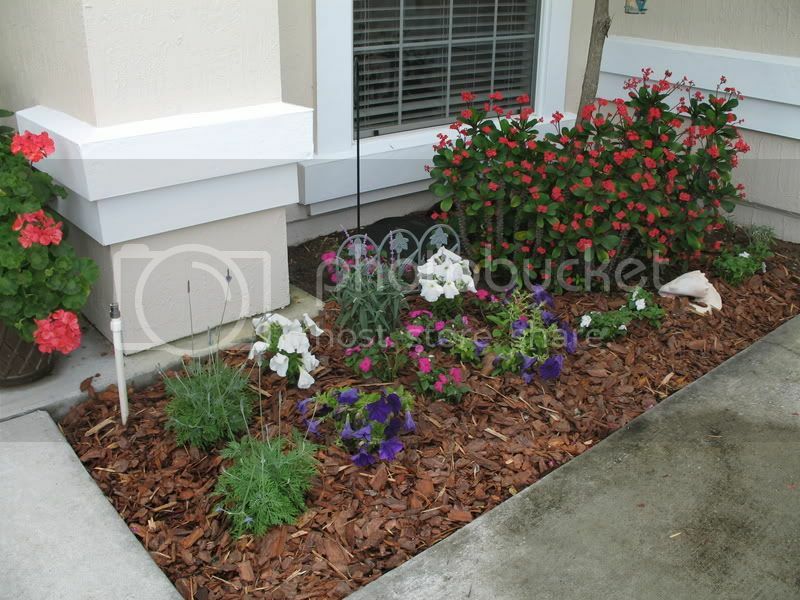 Very pretty - just wait till everything fills in, you will have a big punch of gorgeous color as you walk up to the door. You must have been a gardener in a previous life! Looks like you know what your doing. 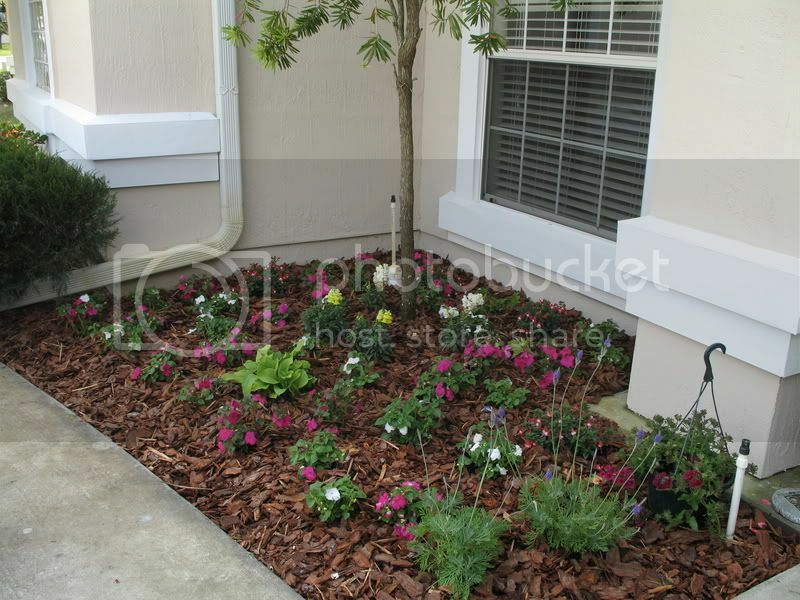 now to get the back garden mulched by next Monday when I have 5 Master Gardeners coming to use my yard as practice for our Florida Backyard recognition Program I have become involved in. 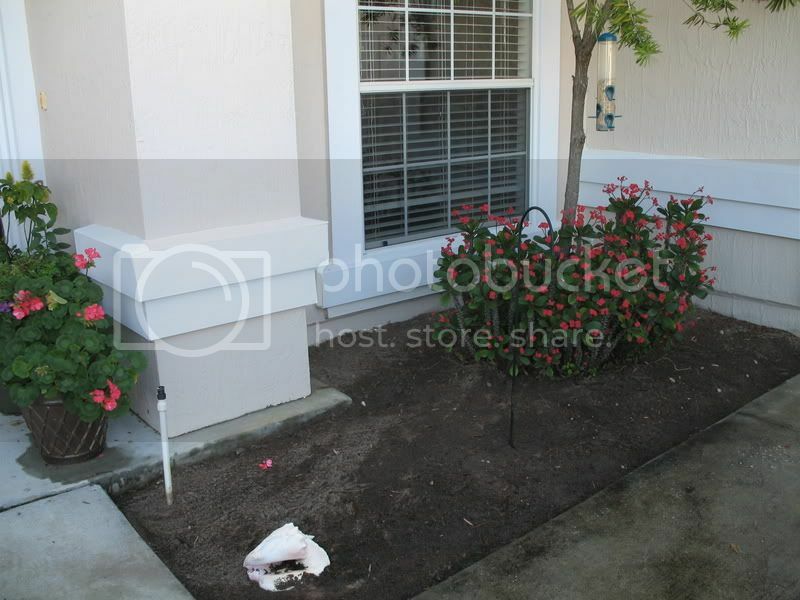 Great job on the flower beds, Karla. I can't wait to begin in my own yard, we are still looking for a house and are in a rental. I plan on planting in large pots so I can relocate them also. I would use another ground cover that close to the house, pebbles maybe. 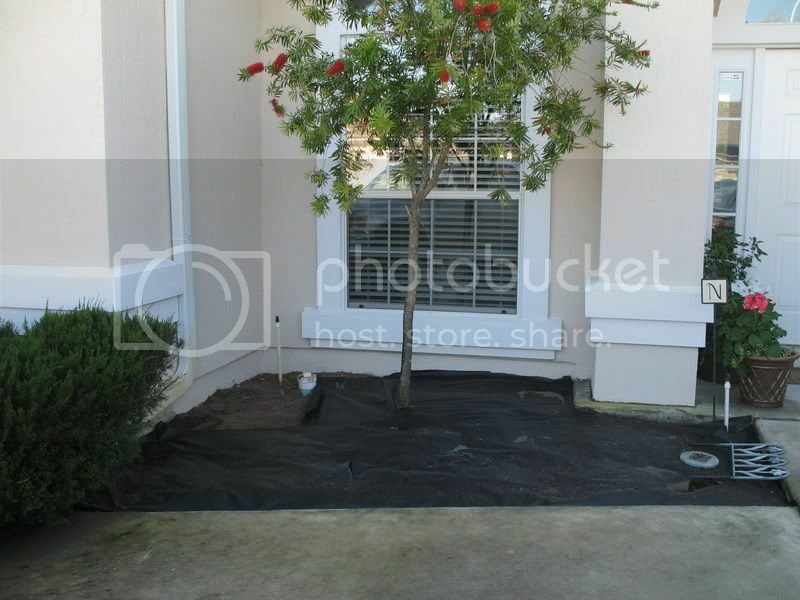 The wood mulch attracts termites and is best used away from the house.